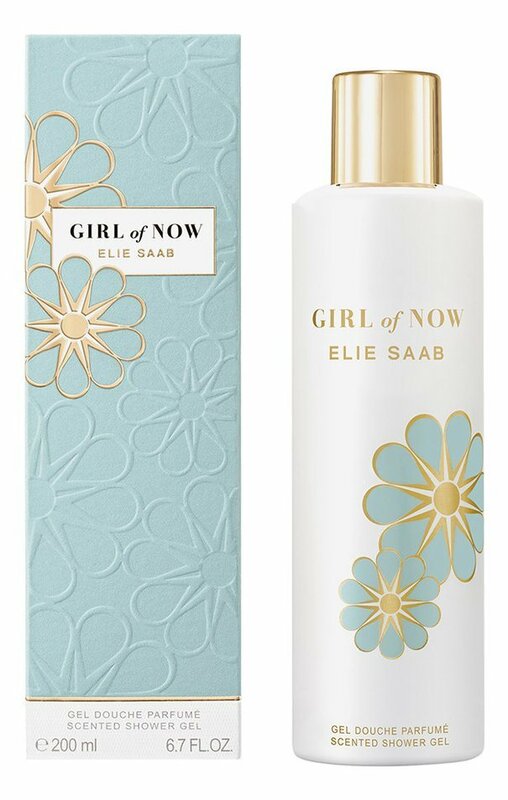 Girl of Now is a perfume by Elie Saab for women and was released in 2017. The scent is sweet-gourmand. It is being marketed by Shiseido Group / Beauté Prestige International. The faces of the advertising campaign are models Ulrikke Høyer, Lineisy Montero and Gabby Westbrook. Recently at the bus stop my little one sat down next to a young woman. An extremely pleasant sweet-powdery scent rose into my nose. Unfortunately, I couldn't help but ask her what she was wearing. First of all, I'm not going to mention his scent anymore! That was a lesson to me! The problem with me is that I always have to buy the fragrances right away and that best in the largest variant! My god-- what have I done to myself? SET THE BLANK!!! What's that, a punch in the pit of the stomach with a sprayer? Unfortunately I made the mistake and sprayed my scarf with it and my hair also got some of it off. The scent caused me nausea and headaches in the long run, so I had to wash the scarf and was happy to take a shower. In the finish he reminded me strongly of Mugler Angel Muse...and many other scents that came under my nose - La vie est belle, Queen of life, Black Opium, Touch of Woman, Si and In. Furthermore there was last summer for 1,99 € a coconut body spray with the red horse...smells exactly like that. I find Girl of now has a somewhat cheap touch or I'm probably just not made anymore for these sweet scents. I'm sick and tired of it. Quite super - the postman brings me the days also La Nuit from Tresor. Now joy has become pure fear and panic. Here in the old town there is a cute café hidden in one corner. It's called Café Mandelrose and the concept is quite nice. Furnished in the style of a Viennese coffee house, there is (almost) everything with almond and rose. In the morning at breakfast the cooked cheese is refined with rose petals, the homemade almond ice-cream is the hammer and only the rose tea... Hach! Every time I spray Girl of Now, I feel like I'm in this coffee. The big red velvet armchair almost swallows me, the heavy wall clock ticks, it smells of fresh coffee, cake, flowers and almonds. My heart beats for almonds and everything you can conjure out of them. Girl of Now sniffs for me like an almond tart with crispy crust, under which pears and tangerine jam wait. In addition there is a delicious Latte Macchiato with almond milk or vanilla syrup - the fragrance experience is ready! When sprayed on, the girl initially appears slightly alcoholic, but this note quickly fades away. Then it gets sweet, gourmandig and nice warm. I have kept the flowery bottle in turquoise and gold especially for the cold season and now, with the beginning of spring, it is as good as empty. Perfect timing! I think the durability is really great, on my coat I can still smell GoN even after days, tonka bean and almond leave a wonderfully sweet veil on the clothes. Fans of Dior Poison Girl EdT or YSL Cinéma should definitely try this fragrance - you might like it! 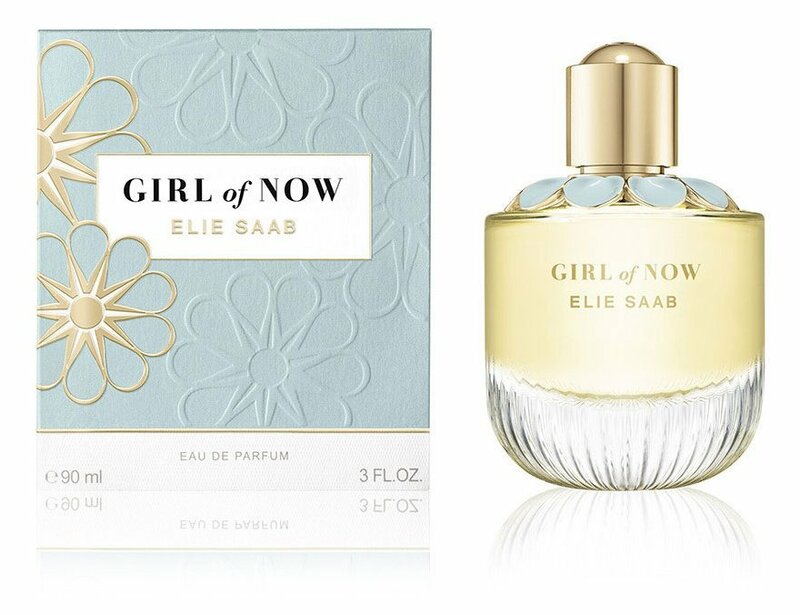 Girl of now - I liked the flacon, the name didn't sound quite so stupid, the faded scents are all Nellycatcher. What about the scent, I wondered. I wanted to know for sure: Is this the Gourmand to end all Gourmands? Did Elie Saab reinvent the wheel? Even the top note of the fragrance that I generously sprayed seemed super familiar to me...I had only recently rung it, hadn't I? After some thought, it occurred to me: Black opium. Which I found so meaningless that I didn't even want to think of a statement about it. After some time there came a new turn, but still sufficiently familiar to me: Alien showed up. Although GON did not perform quite as violently as the true alien, but somewhat more easily, but I clearly smelled extraterrestrial life. Now it was fruity. Pear, pure, sweet and juicy, bedded on a sea of cashmere. Unfortunately I can't remember where I smelled it before, but I know this combo. Never and at no time could I smell the almond I loved, the fine tonka bean or my beautiful orange blossom absolute. That's what the mix of Black Alien plus X thinks. Only I can't enjoy him because I'm obviously yesterday's. Girl of now!... Today's girl. Ha! That's right! I am a girl or a young woman and I live today, so this must be made according to the name for me. Also the fragrance pyramid reads very appealing for me. Since I got a bottle for around 30,-, I ordered blind without testing it first, after all I am a girl of today.... And not yesterday! The bottle is really girlishly cute and should remind of a flower seen from above. Well, it's nice to be a girl today. I sprayed something on my wrist and first waved it in the air, so that the first alcohol disappeared directly into the air and not into my nose, which a modern girl doesn't like. I smelled.... jooaa he is a little heavy and immediately very sweet. I find en quite gourmandig and sweet and notice little of the fruit notes but rather still something of the mandarin. After a few minutes, I'm sure. Yeah, for me, one of today's girls, he smells like marzipan. Sweet, creamy marzipan. Only in the background does something flowery appear softly and quietly. In that case, girls today smell so? But I don't always want to smell like marzipan. Maybe at Christmas and when it is very cold, this scent gives warmth. It's beautiful and wearable, but for me there are better sweet and gourmand scents. Still quite nice and portable. Maybe I'm too old fashioned , maybe i'm too against the mainstream, but it seems to me that certain fragrances of nowadays come out not from a perfume laboratory , but from "The great baker" or "Master chef"! I tested a few hours ago Girl of now and i must say that the pistachio and Almond notes are too strong. It must be a fragrance, not a sicilian cassata! The patchouli base is good, warm and pleasant, but all is too, too sweet. Me too I like many oriental-gourmand fragrances, but only if the ingredients are well combined and the sugary notes aren't too intoxicating. 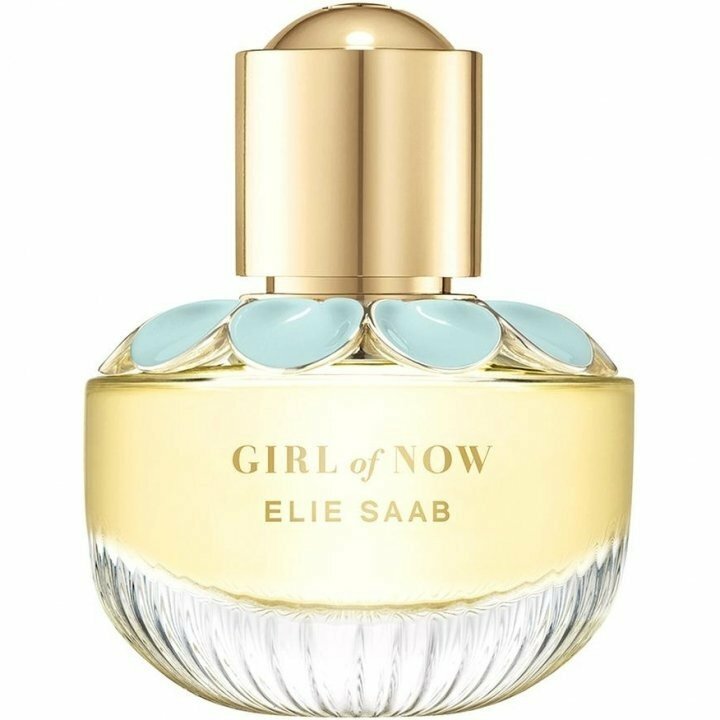 I'm sorry because i'm a fan of Elie Saab fragrances, but this one isn't my cup of tea! I don’t see a girl from nowadays here. It is not like all other perfumes. It has a different approach. It is almond-minty and refreshing. The opening is fruity and zesty with some traces of pistachios. Then, in a few minutes, the composition becomes refreshing and minty. Maybe the mixture of orange blossom and almond, the notes listed, result in a minty smell. I feel a minty odour with a touch of ginger. Like a cold shower in a hot summer day. The almond is there undoubtedly but it stays somewhere behind and appears from time to time to touch this sparkling composition with a sweet magic wand.it is very interesting how the perfume evolves on the skin. Then, after a while, the almond takes control of the smell. It comes in front. The smells change between them. Now I feel almond as the main smell while the minty odour goes somewhere backwards. This almond note stays until the end and becomes more and more sweet with a creamy facet. The base is warm and sensual with tonka-patchouli-almond mixture. Girl of Now is not a wow composition but it is bold in its own way. It does not respect the market requirements. It goes along with other perfumes but I think it will find the right girls for it. Anyway, the bottle seems to be made today for today’s girls. 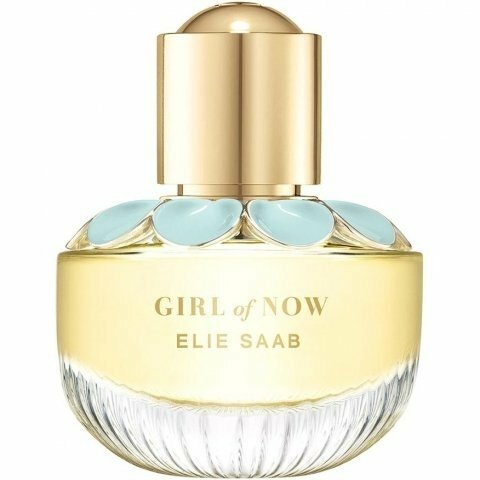 If you are a fan of Elie Saab perfumes and you like almond note in a composition, this is a try for you.